(OPride) — There is a popular Oromo ballad about death. It goes something like this: Kan sodaanussoo du’aa, kan hin oolleesso du’aa, meaning we fear death but it is something no one can escape from. Oromo comedian-actor-singer Admasu Birhanu Magarsa often joked about death and even how death is the great equalizer. Those who knew him closely say Admasu did, in fact, fear death. The inevitable came last week. The father of five, who pioneered Oromo comedy on television, died suddenly at his home in Addis Ababa, Ethiopia on Feb. 14. Admasu, 60, who is better known by his stage names Abba Lataa and Abba Kaarruu, was born in 1956 in West Wallaga zone Bila district. 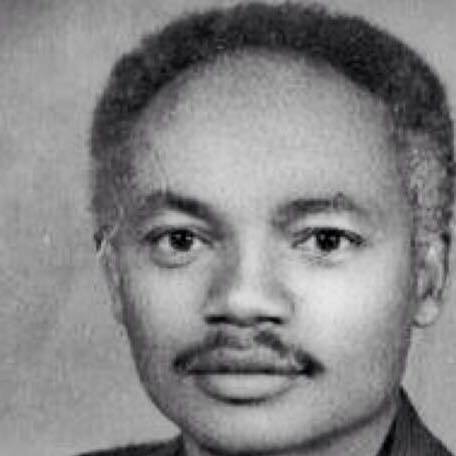 He briefly lived in Jimma with his aunt and in Asosa with his father, who was a merchant, before moving to Addis Ababa at the age of 13, according to his family. 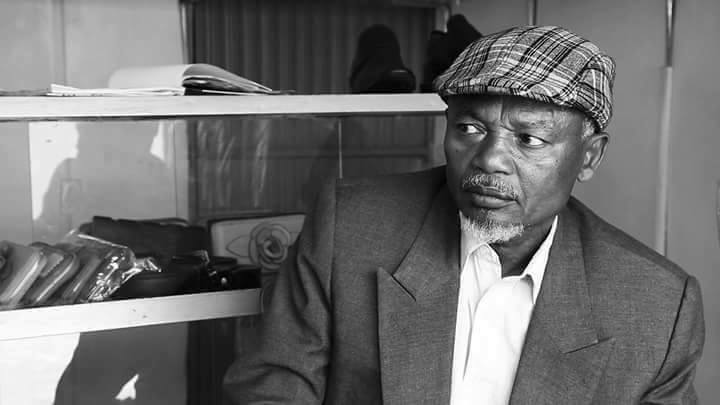 Admasu began his long and storied career in the mid-1970s at the Addis Ababa City Hall Cinema (Mazagaja) where he was hired to sing. He later learned to play the Trumpet and other musical instruments. He attended Addis Ketema High School ‘till 7th grade and dropped out to focus on his budding career. He later finished secondary school by taking night classes. At Mazagaja, Admasu quickly became recognized as a gifted singer, poet, songwriter, actor and cultural dancer. “Yaa Turungoo” and “Biqiltuu Ganamaa” were but two of his timeless songs. 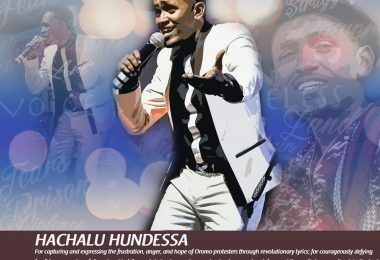 He has also written songs for such luminaries as Sahle Degago, Sayyo Dandana, Dagim Mekonnen, Hirpha Ganfure, Aster Abdi and most recently Habtamu Lamu. He had worked and performed at all of Ethiopia’s major cinema houses including Hager Fikir, Ras Theater, and Biherawi Theater. Abugida Qayiso, Tewodros, Simegn Sintayehu, Balcha Abba Nabso, Ye Venus Nagade, Isat Sinadi, Mal’kita Wozedar, Makidim and Ye Qosalu Mishigoch were among his major works in Amharic. Admasu rose to national prominence in the 1990s through Dhangaa, a weekly Afaan Oromo program on the state-run Ethiopian Television. His quick wit and high-spirited sense of humor were a sight to behold. But what most viewers may not know was just how instrumental he was in the program’s launch and eventual success. As Dejene Gutema, a former editor and producer at Dhangaa, wrote on Facebook Admasu was one of the few experienced Oromo actors and writers living in Addis Ababa at the time. He quickly embraced the program and augmented new actors and directors with his experience. He was so integral to the program that “an episode of Dhagaa that did not feature Admasu Birhanu was no Dhangaa,” Dejene recalled people saying at the time. Dejene and Admasu’s children say his genius was an uncanny ability to play any role accurately mimicking real life situations. His jokes and film roles on television were so relatable and often moved viewers to tears. He transcended language and age barriers. 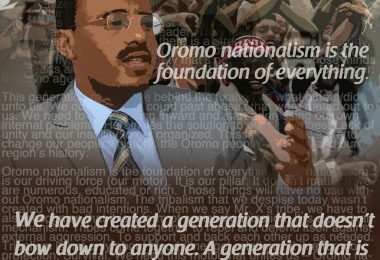 Millions of non-Oromo speakers and Oromos of all ages admire him. Time and time again, the multitalented comic used his age as a springboard to charm generations of fans. His comedy was beyond funny but it was also educational. He believed that art and artists should reflect the lived experiences of their society. He did so for his with a great deal of success. In series of short dramas, Admasu played a sweet-seeming but quintessential grandpa that never ages. For example, two years ago, in Yoomin dullomee, Admasu protests a suggestion that he is aging. “Don’t demoralize me by saying ‘isin,’” he tells his supposedly young wife, scoffing at a respectful way of referring to the old in Oromo, adding, “I will fulfill all of your wishes.” He often joked about polygamy and a seemingly insatiable appetite for a second wife, a common practice in the generations past. He appeared in dramatic roles and made his viewers laugh but he also used the platform to educate others not to denigrate or oppress women. “More than anything, I want people to know that my father was selfless,” his daughter Darartu told OPride by phone from Minnesota. “He did not believe in having fancy cars, a house or other material things.” A point echoed by her siblings: Lensa, Aanne and Amanti. In Sugar Daddy, a short musical skit in 2009, Admasu even took aim at an apparent new trend in Ethiopia toward materialistic culture. He joked about the perception that older folks can take care of women better than young people who don’t have both money and wisdom. His children say Admasu, who until his retirement two years ago worked at Hager Fikir Theater, often discouraged them from sending him money, instead asking them to help others who are less fortunate. Admasu was so successful that people often took his serious comments for a joke. “I often told him no one is going to believe you even if you fall ill,” Lensa recalled. Apparently, he wasn’t simply a funny man on television. He was a friend and equal to his children but he also made them laugh. He even made up a comic and teachable act as a punishment if he disapproved of their behavior. In other words, Admasu did not just produce comedy. He lived it. Aanne and Amanti recall one of his remarkable feats from the 1980s. 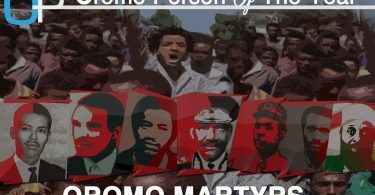 One day Derg soldiers — the Abiyot Tebeki, or revolutionary guards — came to arrest Admasu. As the armed soldiers encircled the house, Admasu plotted an escape from inside. His neighbor was a known local monk. As the soldiers closed-in, Admasu dressed up as the said monk and walked up to the soldiers and made them kiss the cross and went about his day. It’s virtually impossible to talk about the development of Oromo art and language without mentioning Admasu. He was, first and foremost, true to his roots. His comedic craft was a runaway success in large part because he grounded his work in the lived experiences of the Oromo people. He was also a self-confident and proud nationalist. All of his children were born and raised in Addis Ababa but speak fluent Oromo — a rarity. He gave all of them an Oromo name when it was not popular to do so. “ Growing up, I often pleaded with him to change my name,” Darartu recalled. He repeatedly told her, “There will come a time when you will be so proud of your name.” She is grateful that he did. A pioneer in many respects, Admasu has been a fixture on TV shows and musicals for more than 30 years. He has appeared in longer films including the 80-part series currently playing on TV Oromiya. 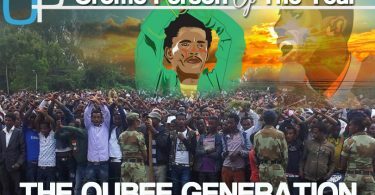 No single Oromo artist had a prominent presence as Admasu. He took pride in his many accomplishments but often agonized over the lack of institutional support for Oromo art and artists. Without a doubt, he was the funniest, most consistent and influential Oromo comic of all time. His sudden death leaves a gaping hole — one that is going to be difficult to fill — for the Oromo arts community. The outpouring of tributes and a colorful but emotional send-off yesterday in Addis Ababa shows the impact he’s had on Oromos from all walks of life. It’s also a reminder that much remains to be done to continue Admasu’s prodigious work. His contemporaries have their job cut out for them. It is going to be hard as hell to fill Admasu’s shoes. There is no doubt that Admasu’s endearing character and enduring comedy will be replayed by generations. Here is a small selection of some of his most recent works.